Dr. Salvatore Alesci, Vice President for Scientific and Regulatory Affairs at PhRMA, and one of the leaders of the I’m In Campaign which is raising awareness about the importance of diversity in clinical trial participants joins eHealth Radio and the Health News Channel. Why is increasing diversity in clinical trials a priority to PhRMA/the industry? Why is there currently a lack of diversity in clinical trials? 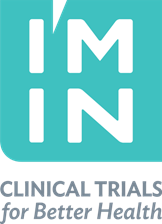 How does participation in a clinical trial benefit the patient? Salvatore (“Salvo”) Alesci, M.D., Ph.D., Vice President of Scientific and Regulatory Affairs at PhRMA, which represents the country’s leading biopharmaceutical researchers and biotechnology companies. Since joining the organization in December 2011, Dr. Alesci has lead PhRMA’s science advocacy engagement efforts, serving as key source of expert input on science and medicine policy issues. 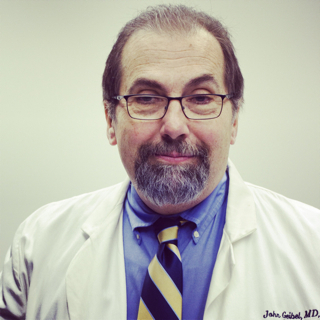 He also serves as internal scientific advisor to the PhRMA Foundation. Dr. Alesci brings to PhRMA over ten years of combined academia/government/industry experience, in biomedical research and drug development. 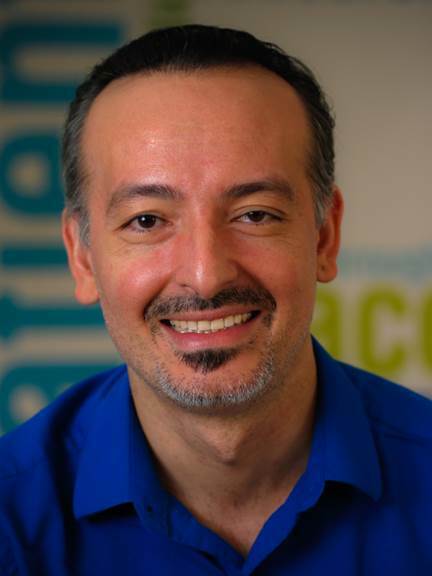 Michael Asaly, Founder of PracticalSleep.com, a California based company that provides effective, at-home sleep apnea treatments to those that suffer nationwide. joins eHealth Radio and the Sleep Health Channel. Sleep Apnea has become a nationwide epidemic with studies sharing that 18 million American's suffer each night. What are the common signs that you or your partner may have Sleep Apnea? Before you started PracticalSleep.com you owned and managed a group of Sleep Centers. Can you explain the differences between traditional sleep studies and the studies that you offer through PracticalSleep.com? I believe once a patient undergoes a sleep study and is diagnosed with Sleep Apnea that their insurance premium will generally increase. Can you explain how and why PracticalSleep.com bi-passes the need for insurance companies? PracticalSleep.com offers effective Sleep Apnea testing and treatment. How are the at-home APAP machine's used & where are they made? How can people find out more about Practical Sleep? Practical Sleep offers a new solution to the traditional doctor’s hospital and lab sleep study. The California based company provides patients with a self-testing solution that is easy and comfortable and done in the comfort of home. Practical Sleep offers customers the APAP machine without the need for insurance that bypasses the pre-existing risk on insurance records that often leads to premium increases. People save a tremendous amount of money and get the same equipment and treatment as a doctor or sleep clinic. Practical Sleep offers an easy and cost effective alternative to handling sleep apnea and empowers patients to take their sleep issues into their own hands. Practical Sleep offers sleep apnea solutions for a perfect night’s sleep. Gordon Hsu, CTO and CFO of Obedo Enterprises and their new product the Obedo Neck and Back Cradle, the latest compact and comfortable travel pillow joins eHealth Radio Health and Travel Channels. Why was the OBedo Neck & Back Cradle developed? 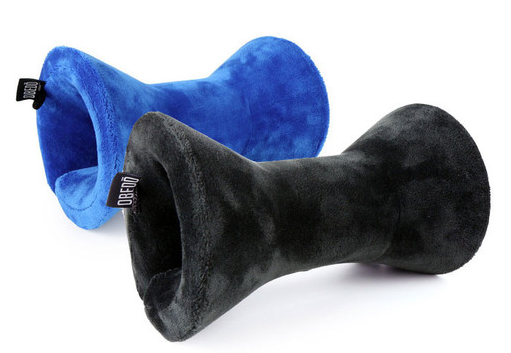 How is the Obedo Neck & Back Cradle different from any other travel pillow? Any other final points here in conclusion? 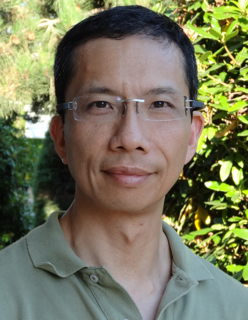 Gordon Hsu spent his first career in the information technology field as a software developer and in his second career as a CPA. In his last position, he was Corporate Controller for a New York listed public company with a global reach in container vessel construction and management with a billion in assets. Throughout his two careers, Gordon has been involved in many challenging projects and have been able to think creatively to solve various problems. In his personal life, his priority is to maintain a healthy and happy home life with his wife and two kids. Significant air travel throughout his life, long camping drives and a particular photo created the inspiration for the Obedo Neck & Back Cradle and with that idea he approached his respected partner with the idea and it was well received. Thus his third career as a product developer began with the seal of approval…from the wife. 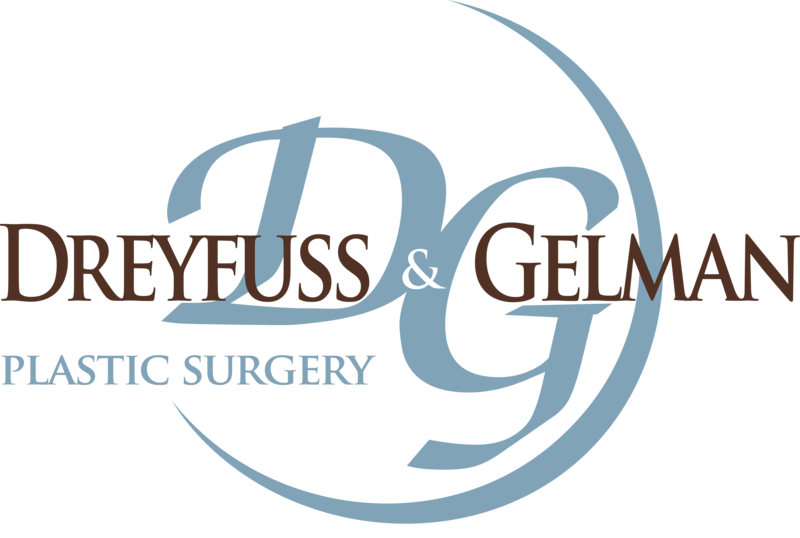 Dr. David Dreyfuss, a board certified plastic surgeon from the greater Chicagoland area specializing in breast implants and aesthetic breast surgery at Dreyfuss & Gelman Plastic Surgery joins eHealth Radio and the Plastic Surgery Information Channel. What are the different types of breast implants and how do patients know which implants are best for them? What are the different incisions and which ones leave minimal scars? Do breast implants affect ones ability to have kids and breast feed? How long do breast implants last – is implant replacement required every 10-15 years? What is the recovery time like and how long should a patient wait before shopping for bras? 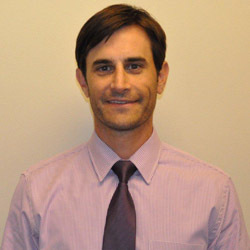 Dr. Dreyfuss received his medical degree at the prestigious Emory University School of Medicine in Atlanta. He found his passion in plastic surgery working with some of the founding fathers of breast surgery at Emory, such as Drs. Bostwick, Coleman and Nahai. Dr. Dreyfuss completed a full general surgery residency, followed by a plastic surgery fellowship at the University of Chicago. He remained integrally involved with teaching as a clinical instructor at the University for many years. Dr. Dreyfuss has presented at many local and nation meetings to other plastic surgeons about breast surgery and breast implants. Dr. Dreyfuss is certified by the American Board of Plastic Surgery and is an active member of the American Society of Plastic Surgeons, The Illinois Plastic Surgery Society and is a fellow in the American College of Surgeons. He is a distinguished member of the National Council of Leaders in Breast Aesthetics, an elite group of a few hundred plastic surgeons from around the world. Dr. Dreyfuss welcomes the opportunity to include you among the thousands of extremely satisfied patients in his practice. Kathy Heshelow the Founder of Sublime Beauty, an anti-aging skincare company with a special niche in Skin Brushes joins eHealth Radio and the Skin Care & Beauty Channels. What it’s all about and why is it important? You said there are other benefits too? So how do we brush. What do we need to know? 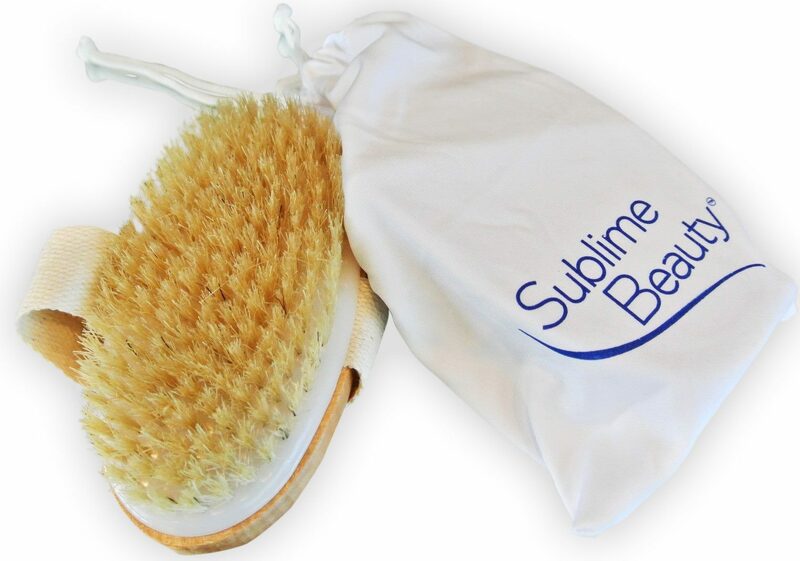 Tip: We like to think of Skin Brushing is as essential as teeth brushing or hair brushing! 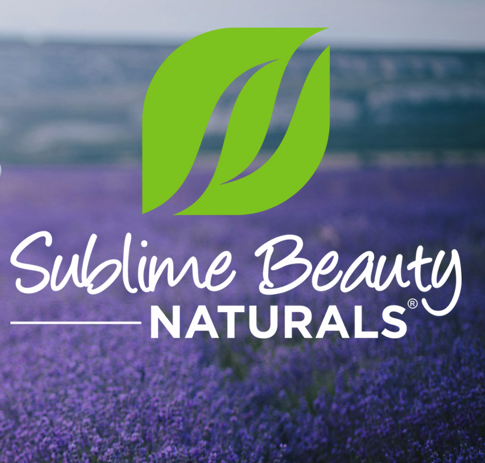 Kathy Heshelow is founder of Sublime Beauty, a quality anti-aging skincare company with a niche in Skin Brushes. All products are found on the company webstore, SublimeBeautyShop.com with free shipping and VIP Club, or on Amazon. Heshelow is also a published author, and her latest book is about Phytoceramides, an anti-aging product; her articles are found in Urbanette Magazine, USA Today and Midwest Health among others. She is bringing out a new online magazine “Age Younger” this fall, about vibrant aging. Kathy lived in Paris, France for 16 years and now resides in Florida with her husband and two canines. 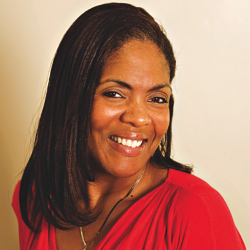 Jacqueline Williams-Hines, Autism Awareness Advocate and Author of the No Small Victories Children's Book Series joins eHealth Radio and the Austism Information Channel. Jacqueline's organization is focused on educating the community about Autism and supporting families with an autistic child on the Autism spectrum. What is No Small Victories? What inspired you to Start No Small Victories? What are the themes of the books in your series? What are the future goals of NSV? What are some early sign of Autism, listeners can look out for? Born in Monroe, Louisiana in 1965, Jacqueline moved to Springfield, MA with her family in 1970 and has since been a Springfield resident. A graduate of the former Classical High School and grad student of American International College, Jacqueline subsequently left college to marry and start a family with her high school sweetheart. Though employed in several positions in her youth, it was the birth of her youngest son and his later diagnosis of autism that brought Jacqueline back to her first passion as a means of catharsis and coping mechanism…writing. Though the dream of publishing her work had never truly been forgotten, it was this new found drive to help educate her son, Joshua’s, peers about autism as a way of bridging the communication gap that motivated her to self publish her first book in 2006. Since then, No Small Victories has grown to become an organization active in increasing Autism Awareness as well as annually hosting an Autism awareness fair and boasting 4 books and counting. Michael Trader President of M2SYS Technology that oversees their RightPatient healthcare division joins eHealth Radio and the HealthCare and Technology Channels. RightPatient offers fast, accurate patient identification to mitigate risk and avoid complications that could arise from misidentification. How does the use of biometrics for patient identification help increase medical data integrity and why is this important in the context of EMPI, inter-operability initiatives, and health information exchanges? Michael Trader President of M2SYS Technology, helped grow the company from a startup to a leader in biometric technology. As President, he spearheaded many strategic partnership initiatives and played a crucial role with the company’s product development roadmap. Michael is responsible for overseeing business development and marketing activities, building partnerships, government outreach and providing senior leadership on business and policy issues. 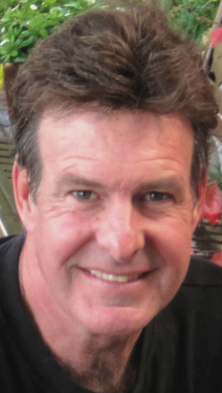 Prior to joining M2SYS, he was a key executive and Vice President of Global Sales at BayBuilder where oversaw all global sales activity and developed business relationships with dozens of Fortune 1000 companies to help them implement profitable sourcing methodologies utilizing leading-edge technology. After the acquisition of BayBuilder, Mr. Trader served as the Executive Director of Application Consulting at PurchasePro where he worked closely with other sales and business development executives and managed the product development team. Mr. Trader graduated with honors from the pre-medical program at the Universtiy of Vermont earning a Bachelor's degree in Biological Sciences. 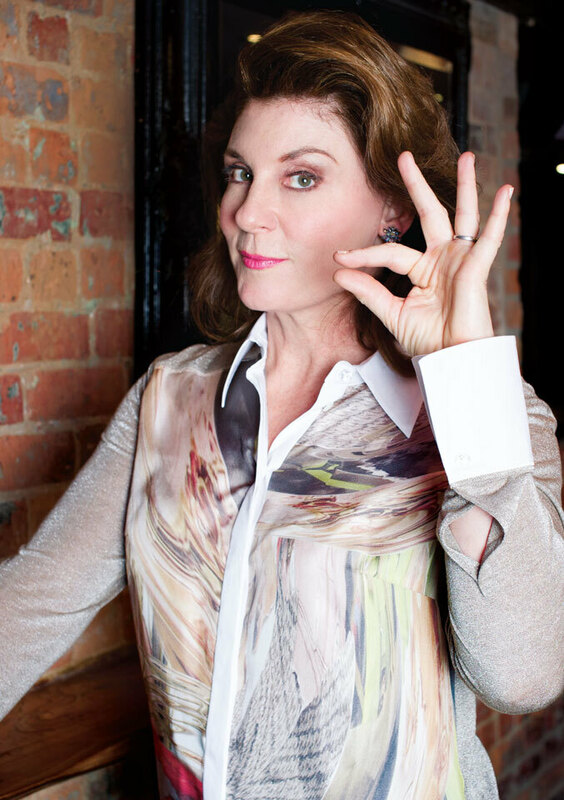 Lynda Budd, Founder of teALCHEMY, world traveller, certified tea sommelier and a published author, with her book titled Tea-Tails: Party Till the Wee Hours of the Afternoon joins eHealth Radio and the Health and Nutrition Channels. What makes teALCHEMY so different? What are the healthy benefits of tea? You talk about the healthy benefits of drinking in your book. Can you share these with our listeners? Tell us about your Elixir line. What does being a Tea Alchemist mean? Can you explain what tea is? Lynda Budd is a certified tea sommelier and health enthusiast. Her passion for tea has taken her all over the world including Asia, all over Europe, and Africa fulfilling her desire to learn and experience. She truly embodies a new description of entrepreneur, holding the roles of a confident mother, businesswoman and industry expert; her teALCHEMY products take tea to a new realm of heightened pleasure, enabling you to create some chemistry beyond the pot and into the kitchen and bar. Along with the publishing of her book, Tea-Tails: Party Till the Wee Hours of the Afternoon, teALCHEMY offers a variety of gourmet loose leaf teas, artisan accessories, tea powders, rubs and syrup. Using the alchemist principals of harmony and balance, teALCHEMY is the elixir of life. She is passionate about sharing the healthy benefits of drinking tea and sharing healthy habits. 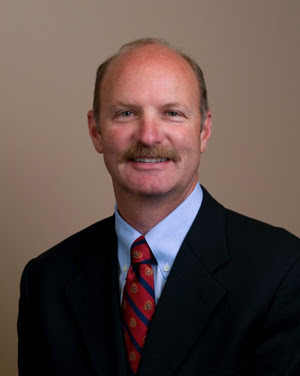 Dr. Daniel Twogood a chiropractor with practice in Apple Valley, California and author of his fourth book, Chronic Pain Gone 90 Days joins eHealth Radio and the Pain Management Channel. 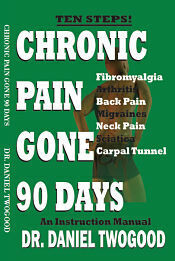 Dr. Twogood has been practicing for 30 years and specializes in the elimination of chronic pain. I see your book is on chronic pain, it's called "Chronic Pain Gone 90 Days". I always thought chronic pain was incurable. How can chronic pain be treated successfully? What are some of the pro-inflammatory substances that cause this inflammation? 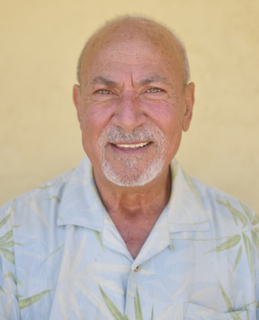 Dr. Daniel Twogood graduated for the University of California at Santa Barbara in 1973 with a degree in Physical Education. He graduated from Cleveland Chiropractic College in Los Angeles in 1983. He began practicing at the International Sports Medicine Institute in West Los Angeles where he treated many of the athletes in the 1984 Summer Olympics. He opened his own practice in Apple Valley, California where he discovered the diet/pain connection. He wrote his first book, No Milk, in 1991. As he learned more about chronic pain he wrote three more books: How to Rid Your Body of Pain in 1996, MSG is Everywhere in 1997, and just released his newest book, Chronic Pain Gone 90 Days. The book is available at Amazon.com, and as an ebook for 99 cents at Kindle, Nook, iBooks, and as an app in the Google Play store. 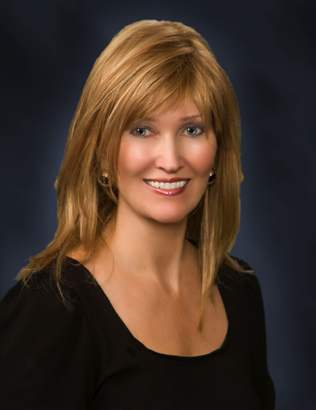 Dr. Twogood still practices in Apple Valley, California, and is available to speak to your group about chronic pain and how to get rid of it.